External Affairs Minister Sushma Swaraj, Union Minister of State for External Affairs General (Retd.) V.K. 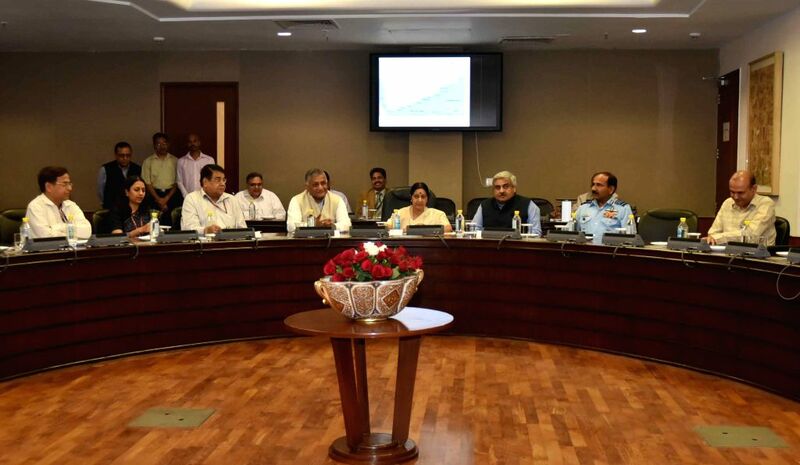 Singh, the Chief of the Air Staff, Air Chief Marshal Arup Raha and others during and Inter-Ministerial meeting called to discuss all aspects of evacuation of Indians from Yemen, in New Delhi.